Our Color Changing Tasting Spoons can be another way to set your ice cream shop ahead of your competitors. Keep the experience fun and new with these amazing spoons. Like all the rest of our products they are manufactured here in the USA. Made of only the best quality materials, FDA approved polystyrene and 100% BPA free. 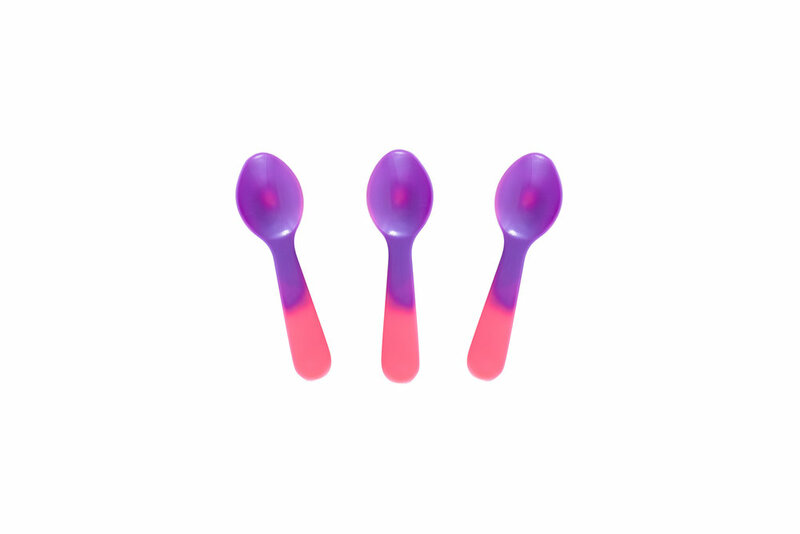 Our color changing tasting spoons are packaged in a 1500 count box (3 bags of 750 spoons).